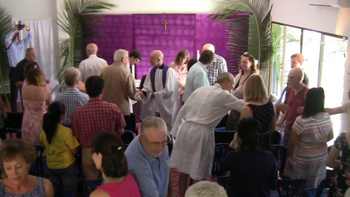 We had a wonderful Palm Sunday service with over fifty people in attendance! Thanks to all involved, especially to Harvey and the musicians from Chiang Mai International School, and our special choir! Also thank you to Anders for playing the organ. 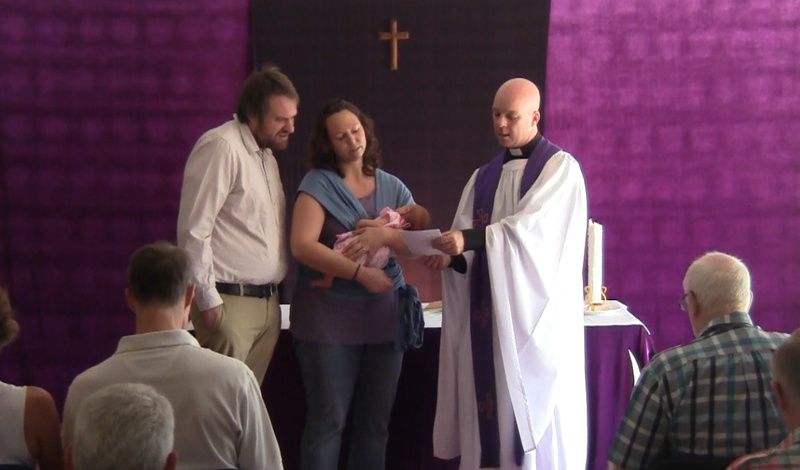 Video of highlights from the service can be found on the website Audio-Visual Page. Don’t forget we have a special service this week for Maundy Thursday, beginning at 7:30pm. This will be a time for quiet, candle-lit, contemplation including Taize chants and the washing of one another’s feet. Then on Good Friday we will have a solemn service at 11am to remember Jesus’ death on the cross. Finally, on Easter Sunday we will celebrate with a joyous Eucharist, proclaiming Christ’s resurrection. This will be at our usual time of 11am and will be followed by a potluck lunch and an Easter Egg hunt! This week’s readings can be found via this link! On Good Friday we will be singing the hymns When I survey the Wondrous Cross, O Scared Head Now Wounded, My Song is Love Unknown, Were you there when they crucified my Lord?, and O Love that will not let me go. Then on Easter Sunday we shall be singing Jesus Christ is Risen Today, The Day of Resurrection, Christ is Alive, and Thine be the Glory! 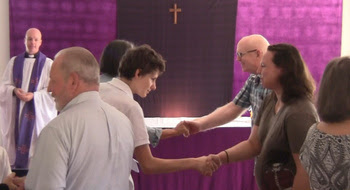 We had a packed church last Sunday for Lillian Juniper’s dedication and we expect a large turnout again for Palm Sunday this week. Of course, Jesus attracted large crowds as he enter Jerusalem, who then turned against him five days later. It is not wrong to be popular, but as a church, and as individuals, we must take care not to put popularity ahead of doing what is right. I pray we won’t! However, despite the dangers of popularity, I hope we will have a great service this Sunday! 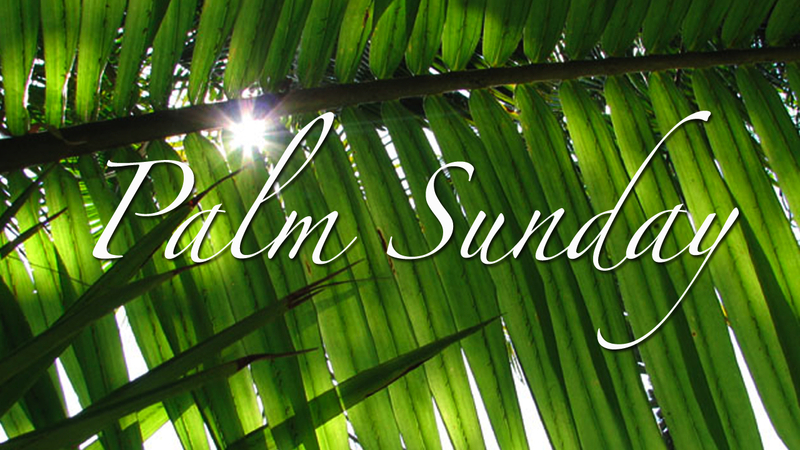 We will begin outside the church and parade-in singing and carrying palm branches. Our own special choir will lead our worship, as well as singing Mozart’s Ave Verum Corpus and theSanctus accompanied by an orchestra of strings from Chiang Mai International School. This week our readings will be Matthew 21:1-11, Isaiah 50:4-9a, Philippians 2:5-11, and Matthew 26:14-29, and we will be singing the hymns Hosanna Hosanna Hosanna in the Highest, All Glory Laud and Honour, Hosanna Loud Hosanna, You are the King of Glory, andRide on Ride on in Majesty. The reading can be found via this link! Our sermon will be entitled Want to be Popular? On Thursday 2nd April we will have a special service for Maundy Thursday at 7:30pm. This will be a time for quiet, candle-lit, contemplation including Taize chants and the washing of one another’s feet. On Good Friday, 3rd April, we will have a solemn service at 11am to remember Jesus’ death on the cross. We will celebrate Easter Sunday on Sunday 5th April, with a joyous Eucharist to proclaim Christ’s resurrection. This will be at our usual time of 11am and will be followed by a potluck lunch. and an Easter Egg hunt! Hopefully we will have air-conditioning by next Sunday and will be the cool people of All Saints! We are initially installing one large unit and, if that is insufficient, will install another later on. Yesterday I went with William and Tarntip to buy the machine and it should be installed on Saturday! Last Sunday our new chairs met with all-round approval, and our organ should be playing in a couple of weeks. However, these are all ways and means. They are not our goal. As I said on Sunday, we could all be cool and comfortable staying in our own homes! Our goal is to build the Kingdom of God, as our response to the love of the God who has given everything for us. The world is transformed as people turn to God and see their lives turned upside down! This week our readings will be Numbers 21:4-9, Ephesians 2:1-10, and John 3:14-21, and we will be singing the hymns Alleluia Sing to Jesus, Come Down O Love Divine, Break thou the Bread of Life, and Lift High the Cross. The reading can be found via this link! Our sermon will be entitled Watch out for them snakes! Lillian Juniper – our youngest member! Our latest exciting news at All Saints, is the arrival of Lillian Juniper to Kelly and Jacob Hale. There daughter was born last Friday! Hopefully, they will all be with us on Sunday. Meanwhile, things are moving at All Saints! We have purchased the computer to run the church organ, so by Easter our worship should be accompanied by live music, and rehearsals for our Palm Sunday choir have started! 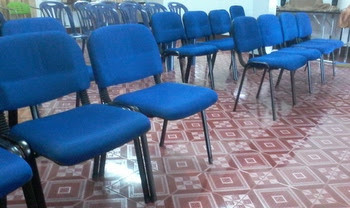 We have also received delivery of fourteen new chairs – sixteen more are on the way! We already have eighteen other “safe chairs” so we should be sitting comfortably on Sunday. Things may be moving on the air-conditioning front too, which is great as it is starting to get hot! 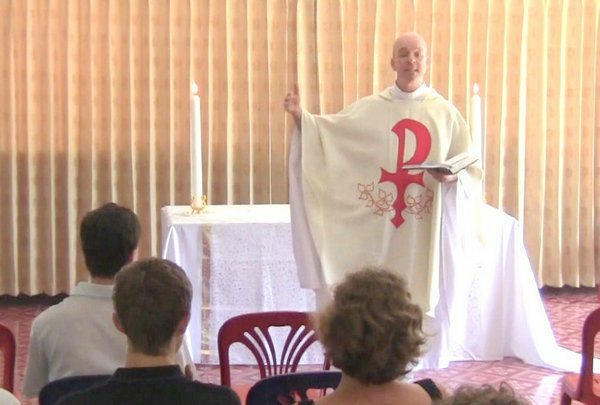 No sleeping in boring sermons please! This Sunday our bible readings are Exodus 20:1-17, 1 Corinthians 1:18-25, and John 2:13-22, and we will be singing the hymns Praise my Soul the King of Heaven,Will you come and follow me, What a friend we have in Jesus, and Tell out My Soul. You can find the readings via this link. Our sermon will be reflecting on God’s foolishness!